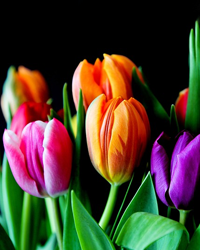 Obituary for Donna K. (Baker) Huff | Brooks Funeral Home and Cremation Services P.C. Donna K. Huff, 76, of Milton, passed away Friday, January 25, 2019 at her home. Born March 5, 1942 in Williamsport, she was the daughter of the late Guy and Cleata (Zettlemoyer) Baker. On June 28, 1980, she married John R. Huff Jr., and they celebrated 38 years of marriage. Donna worked for 34 years at PA House Furniture in Lewisburg. She enjoyed watching NASCAR racing at Dover, and Dirt Track Racing in Selinsgrove. In addition to her husband Donna is survived by her son: Robert Sterner, of California; two daughters: Wendy Sterner, of Danville, and Kathy Marie Sterner, of Bellefonte; one step-daughter: Lori Dunkle, of New Columbia; four grandchildren; two great-grandchildren; and one sister: Patsy Baker, of Montgomery.